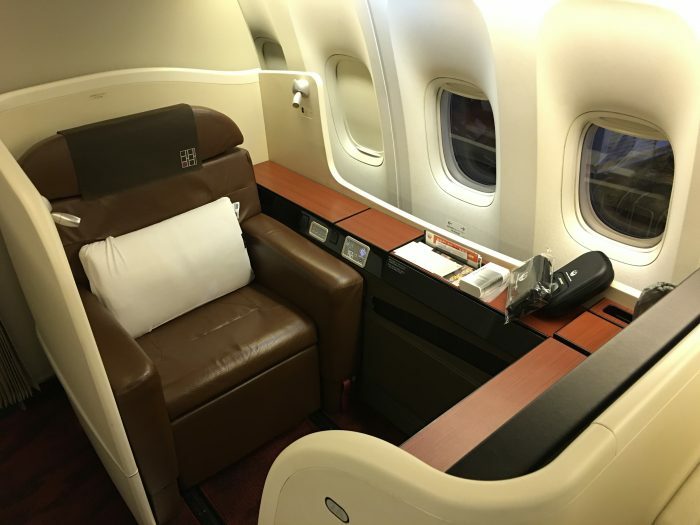 My trip to South Korea & Japan kicked off with a flight from San Francisco to Tokyo Haneda on Japan Airlines in first class on a Boeing 777-300ER. I booked my ticket with American Airlines AAdvantage miles. 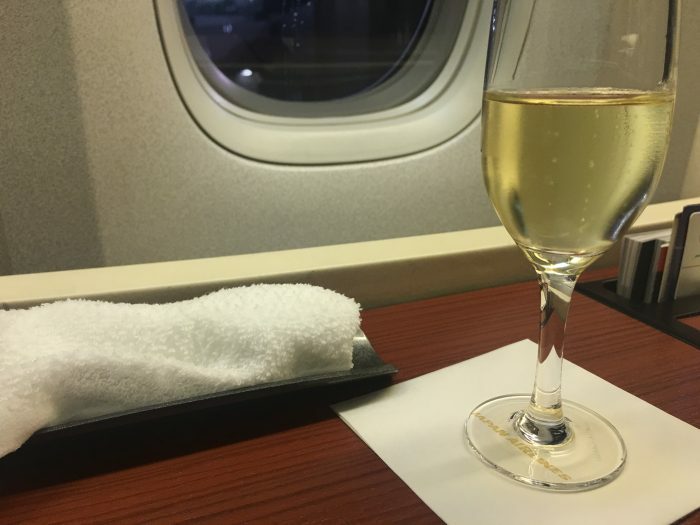 At the time, it was just 62,500 miles for a one-way ticket in first class. I arrived at SFO around 9:30pm, even though the flight wasn’t scheduled to depart until 1:55am. The flight schedule has since been reconfigured, but at the time, it was quite the late departure. I arrived at the airport early since I had nothing better to do, and I figured I could hang out in a lounge, but I was thwarted by the check-in desk not opening until around 10:45pm. That’s still 3 hours before the flight, but given how late it was, I wasn’t the only person who had the idea to get there way early. By the time the desks opened, there were lots of people waiting. 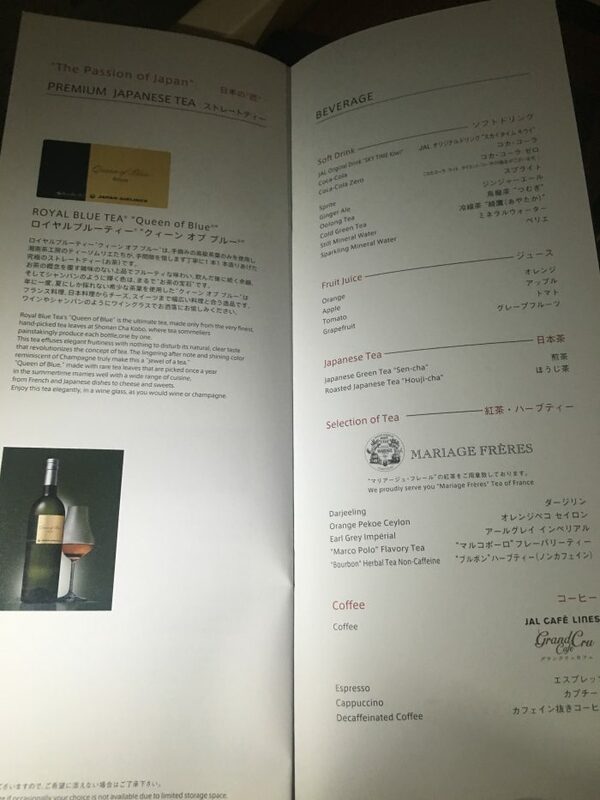 After checking in, I still had tons of time before the flight, so I visited the SFO Cathay Pacific & JAL lounges. Finally, it was time for the flight, which was JAL Flight 1. 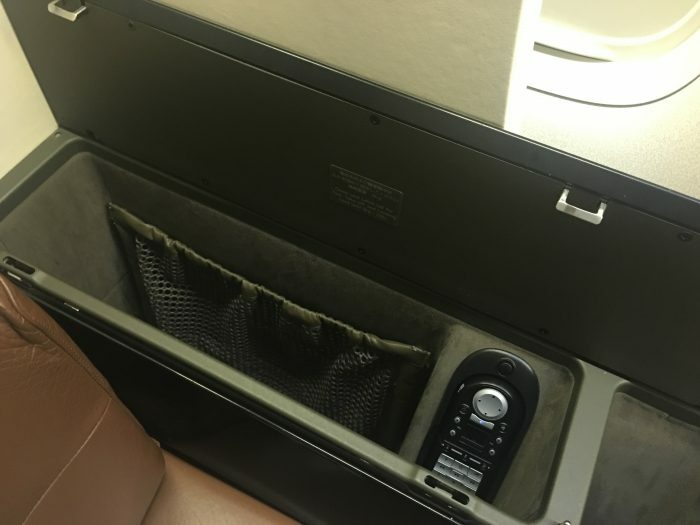 While I waited to board, I noted that economy passengers could upgrade to premium economy for $300. 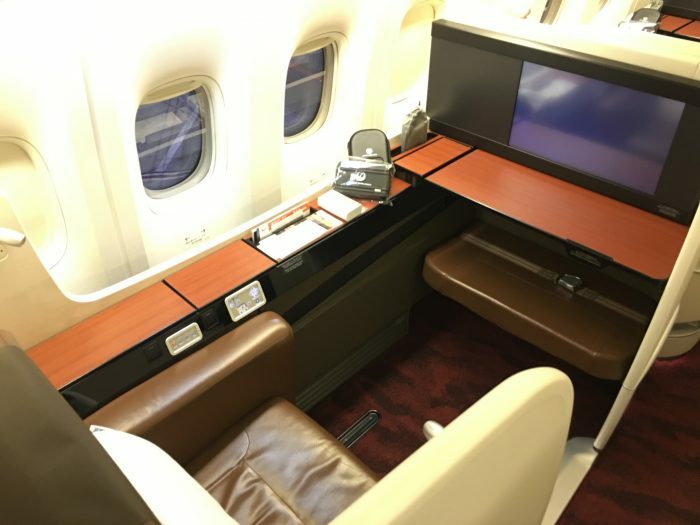 JAL’s first class suites on the Boeing 777-300ER are just two rows in a 1-2-1 configuration, making the cabin very private. 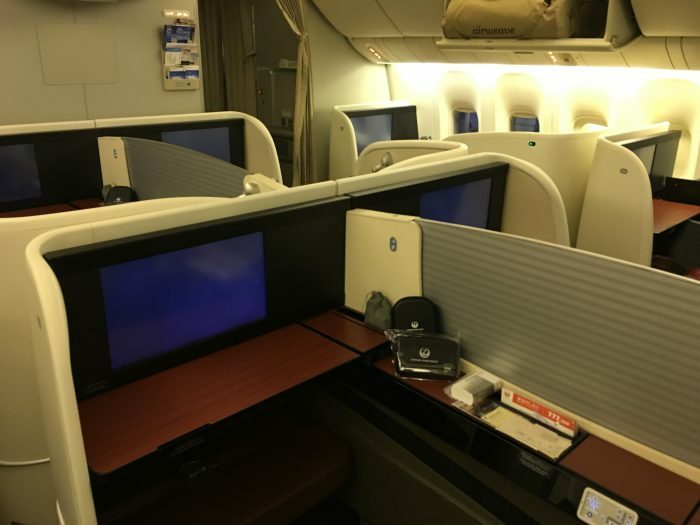 Only 6 of the eight seats were taken, making it even quieter, and allowing for even better service, not that Japan Airlines lacks in the service department whatsoever. The seats are fantastic. There’s ample width, plus room to stretch, of course. The suites are large, though they don’t have a door. 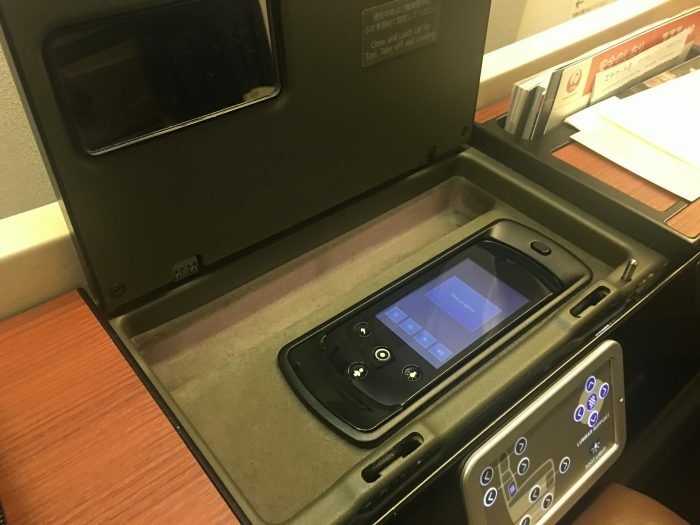 There’s a ton of storage space as well. 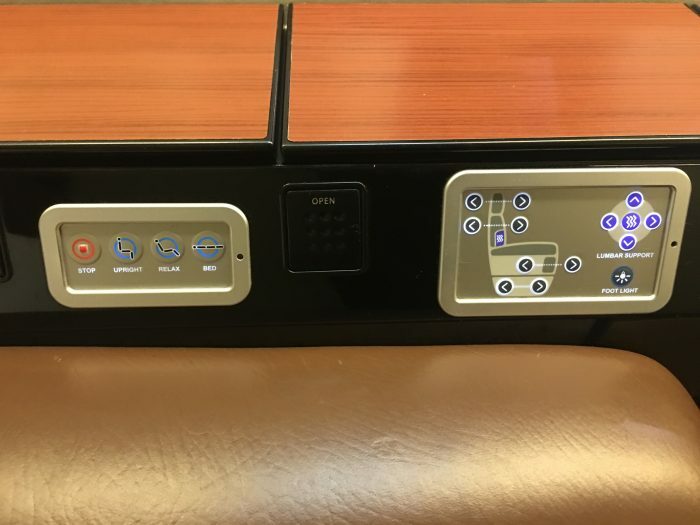 The inflight entertainment screen is massive, and it’s operated with a fancy remote. 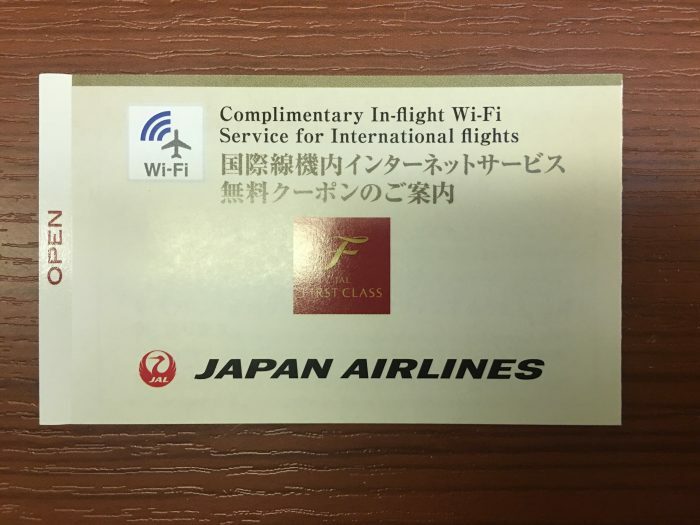 If that’s not enough to keep you entertained, wifi is also free in first class. 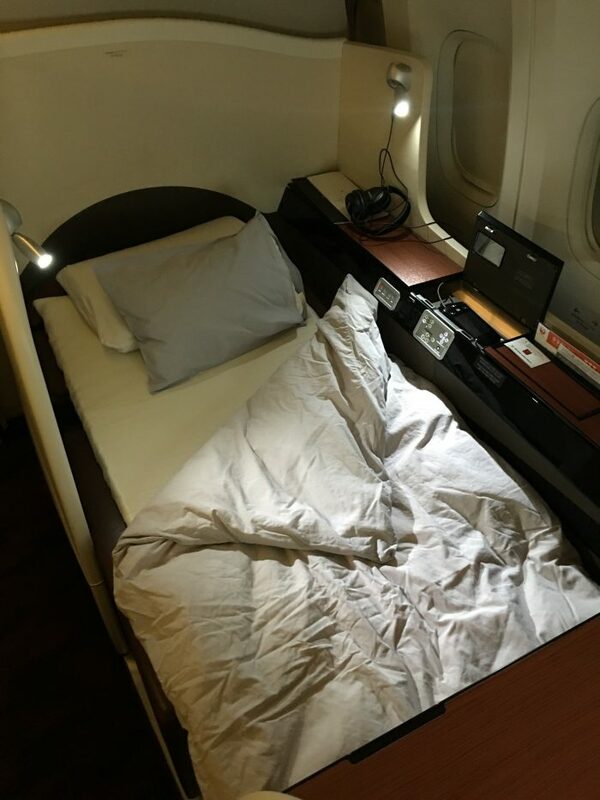 More airlines should offer this for premium cabin passengers. 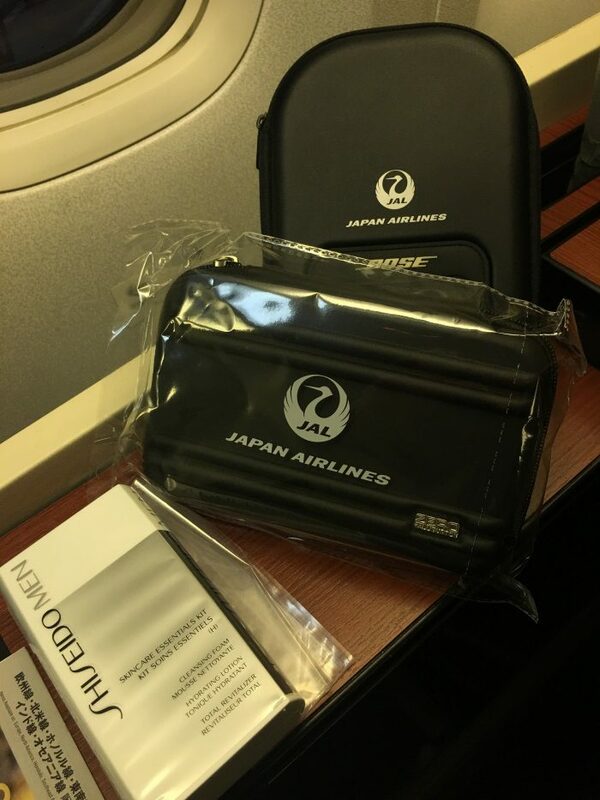 A Zero Haliburton/Shiseido amenity kit & bose headphones were also waiting at the seat. 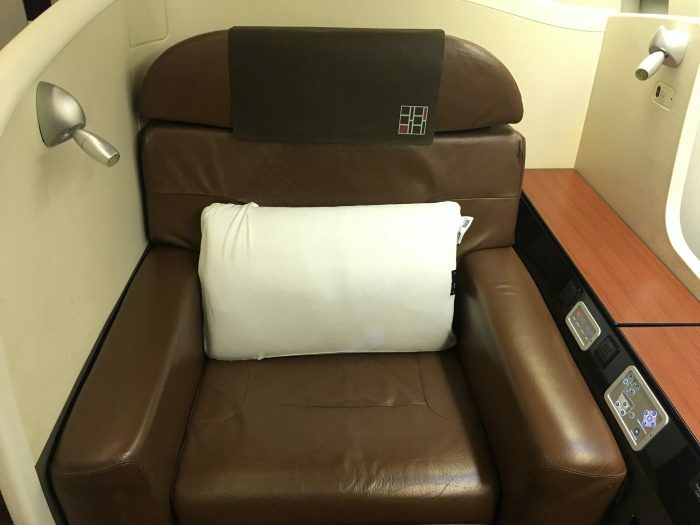 The flight from San Francisco to Tokyo Haneda is scheduled for 10 hours 25 minutes, and it was already after 2am, so most first class passengers had the lie-flat bed made immediately after takeoff. I don’t usually change into pajamas on flights, but they were a good quality, and it was pretty damn comfortable to do so. I need to get into that habit. Unfortunately, the cabin was quite warm. 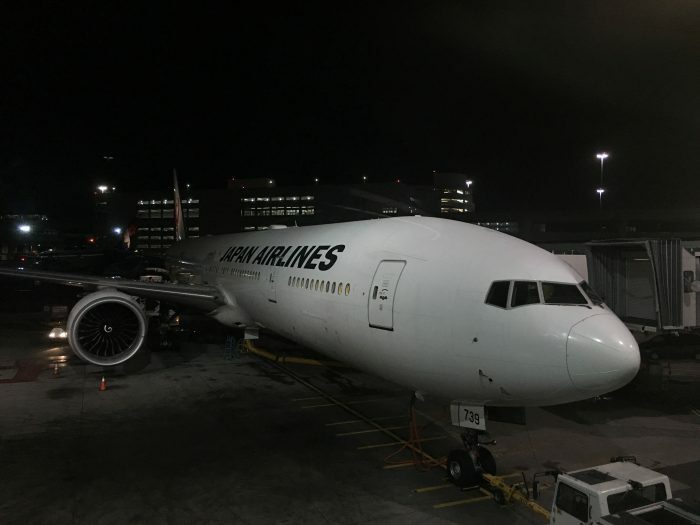 Since there was still plenty of time on the flight, I usually stay up late, and I wanted to try to be on Japan time as much as possible, I stayed up for a little while. 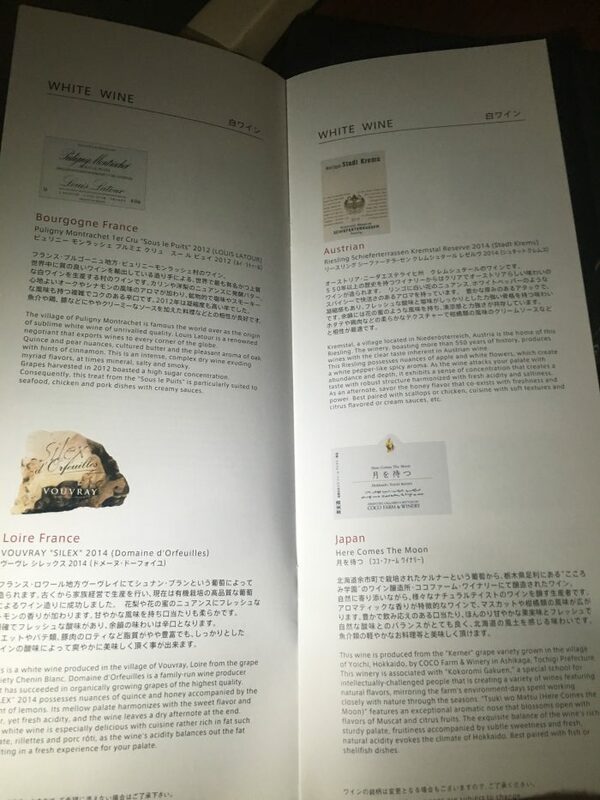 Unfortunately, meal service is more limited than on other Japan Airlines first class flights, but there were still nice options, as you can see by the menus. 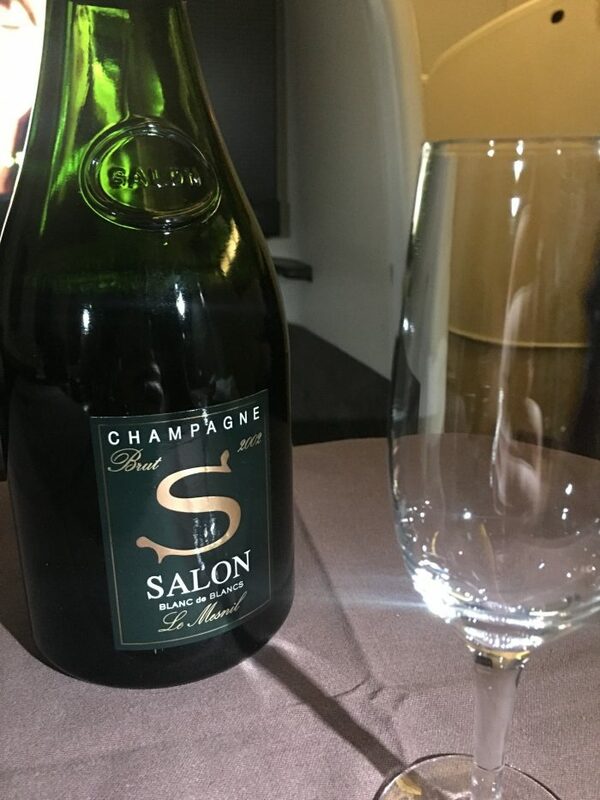 During boarding, I’d had a glass of Delamotte champagne. A warm towel was also offered. 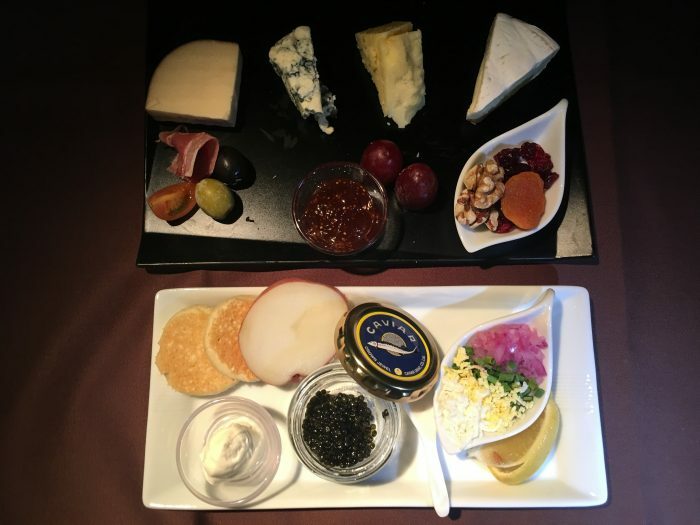 For my late night snack, I ordered the caviar, along with some Salon 2002 Champagne. 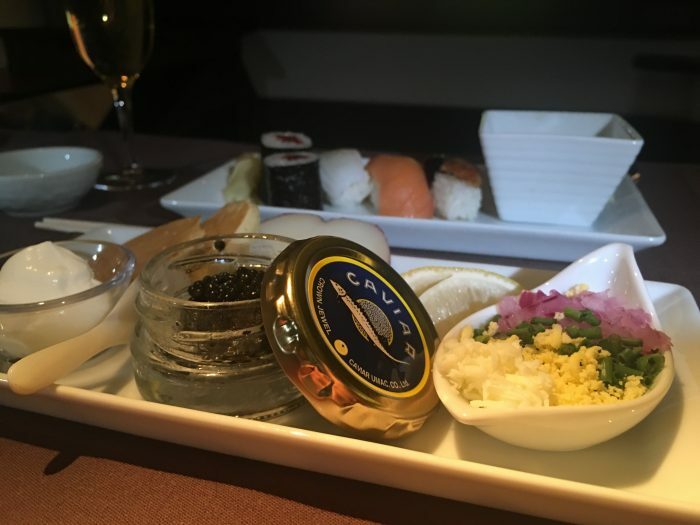 I’d only intended to have the caviar, but the flight attendant also brought me the sushi. Who could say no to that? 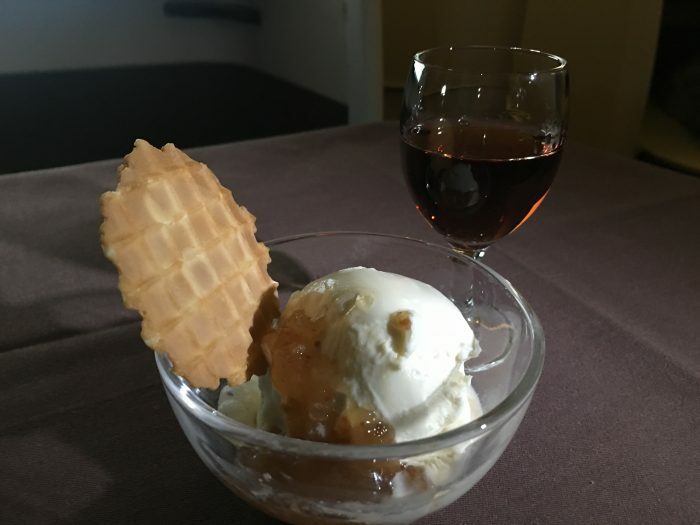 After that, I had a glass of port and some ice cream while watching an episode of New Girl. The port was Graham’s Tawny Port 30 years. It was the best port I’d ever had, and I had a second glass of it. 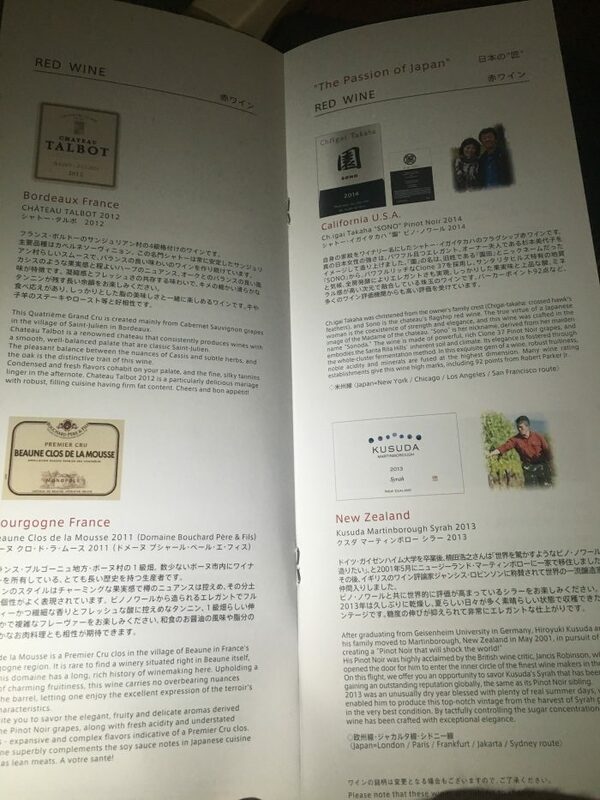 The liquor & wine list for the flight was impressive, plus there was a selection of sake and shochu as well. 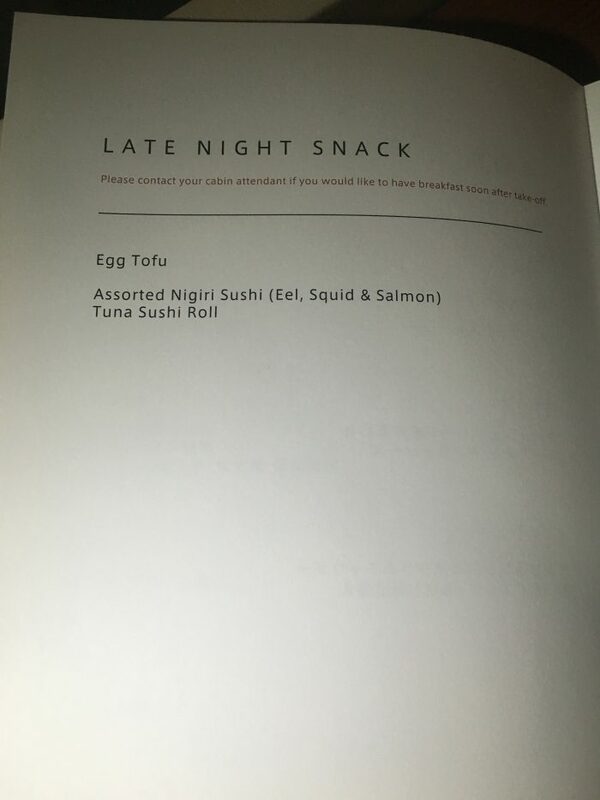 Between it being so late & there only being one or two other people who were eating, the service was prompt. In less than an hour, I had the bed made. I slept on and off for about 6 hours. There was some light turbulence throughout, and I was a bit warm, but otherwise it was comfortable. 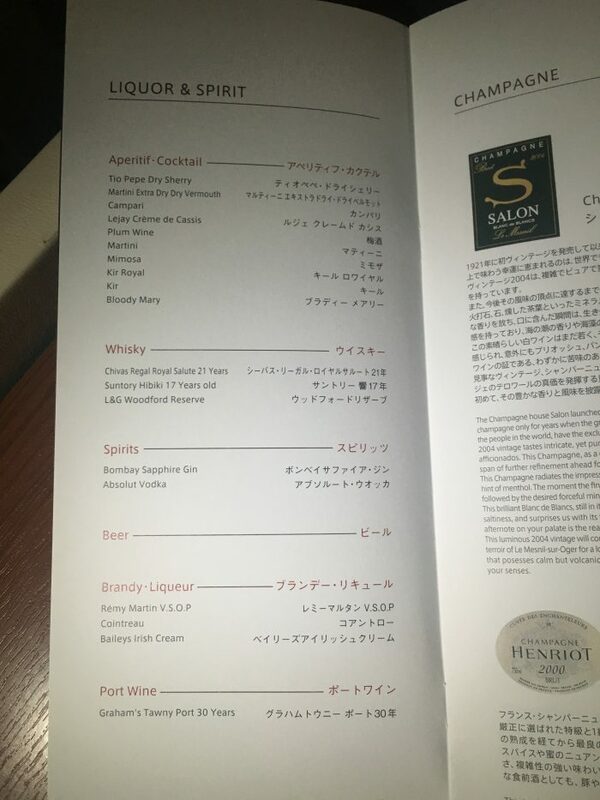 On my previous Japan Airlines first class flight, I’d found the service to be excellent. This time was no different. Any time I need anything, someone was right there. 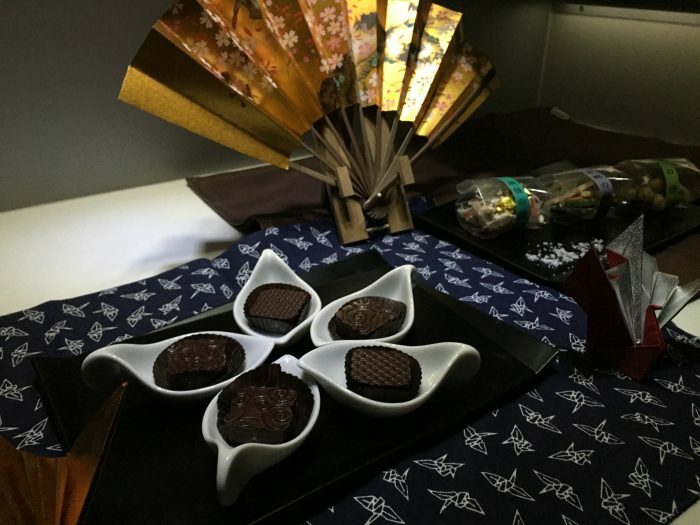 After my sleep, I got up and saw that there were chocolates and snacks at the front galley. I had one, then I went back to my seat to have another round of caviar plus some cheese. A bit later, I ordered the breakfast. 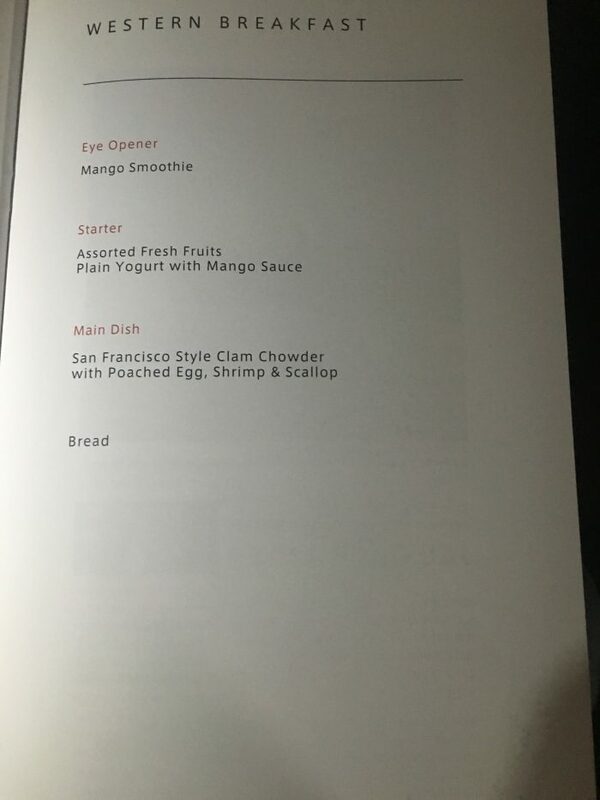 I wasn’t starving at all, but I wanted to take full advantage of being in first class. 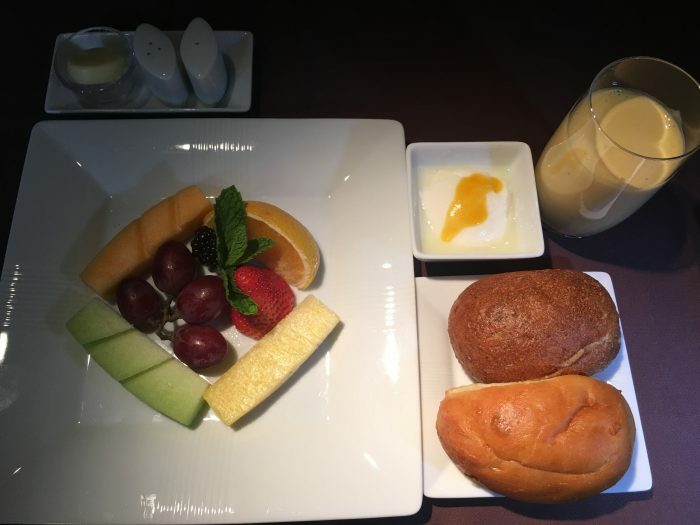 First, I had the fruit, bread and yogurt, plus the mango banana smoothie, which was pretty good. Finally, I had to try something because I was curious about it. San Francisco clam chowder was the Western “breakfast” option. 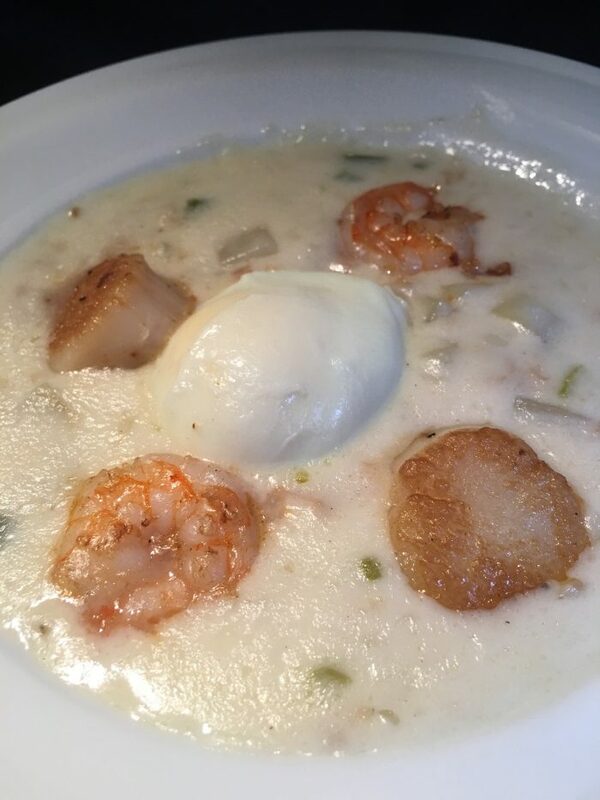 First of all, I don’t even know what SF clam chowder is, but also… chowder for breakfast???? The chowder wasn’t bad, but I only had a bit of it since I was full by this point. I watched a few more episodes of New Girl, then a compilation of funny dog videos. Finally, we were about an hour away from Tokyo Haneda, so I changed out of my pajamas and got ready for my transit to my next flight. 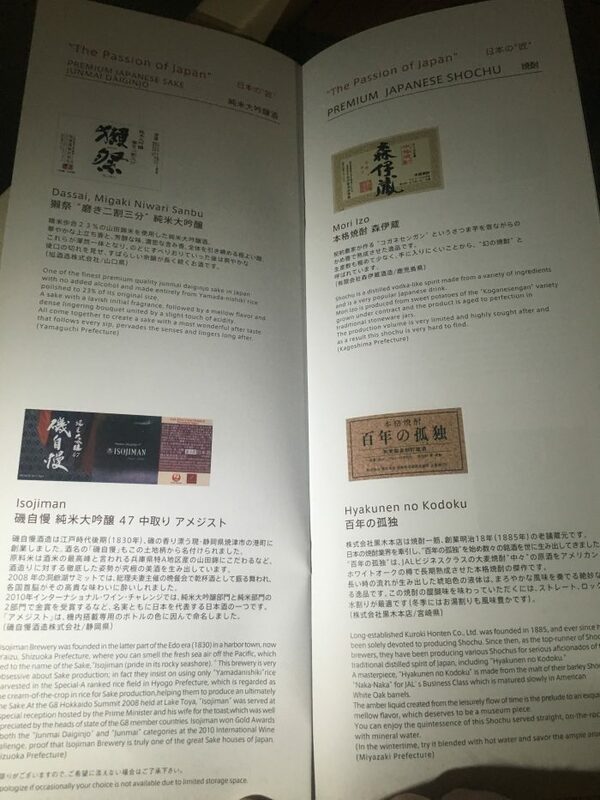 The first class experience on Japan Airlines is one of the nicest I’ve flown. The seat is comfortable, especially when it’s made into the bed. 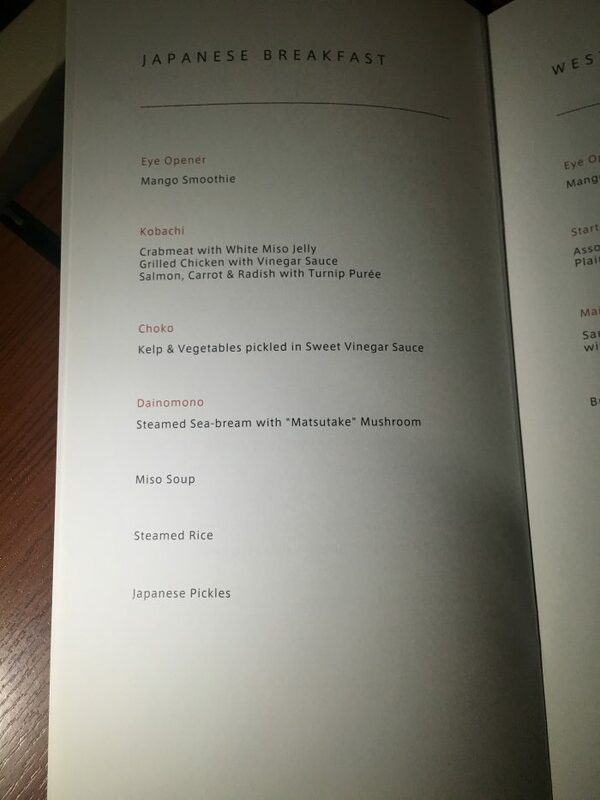 The food was fantastic, even though the menu was limited due to the time of the flight. The service was outstanding as well. 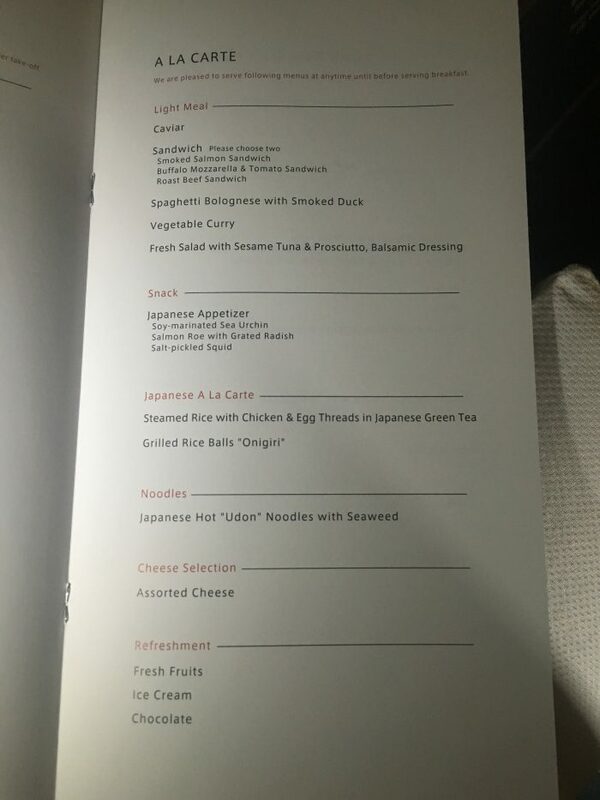 JAL doesn’t quite measure up to Cathay Pacific, but it’s still an excellent way to cross the Pacific Ocean.